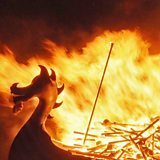 BBC iWonder - Could you be a Viking warrior? 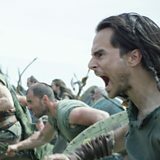 Could you be a Viking warrior? Which legendary Viking warrior would you be? Vikings warriors were a fierce bunch, trained in archery, spear-throwing and swordplay from the age of 10. The most fanatical warriors were called “berserkers”. Inspired by the Viking god of war, Odin, these fighters worked themselves up into a battle rage that they believed gave them superhuman powers and made them invincible. The word Viking means “raider" or "trader”. 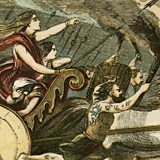 From the 8th to the 11th centuries these daring Scandinavian pirates carried out surprise attacks on the monasteries and towns of Britain and Europe. Some even voyaged as far as North Africa, Turkey and North America to seek out booty and rewards. To join a Viking raiding party was to sign up for a life fraught with danger. Many died fighting or lost their lives in the perilous and stormy seas. Find out what it took to be a Viking warrior. To be victorious in battle you needed the right equipment. Click on the weapons and armour below to find out how they aided you in a fight. Scrub back and forth below to see whether you could have survived a voyage on a Viking longboat. 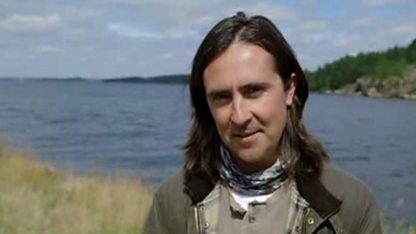 Neil Oliver explains why Viking warriors did not fear death (Vikings, BBC Two, 2012). Viking battles began with one warrior throwing a spear over the enemy line dedicating the men's lives to the war god Odin. The warriors then attacked with a rain of spears and arrows, before engaging in hand-to-hand combat. If you were a young warrior you would be first to attack, drawn up in line, with your shield overlapping in a 'shield-wall' for better protection. If you were a veteran warrior you would line up behind forming a bodyguard to defend your chief. For many Viking warriors Thor was the primary god and role model. He was portrayed as a heroic battler who brandished a giant hammer which he used to smite his enemies. Feasts were a time to celebrate victories. They were an opportunity for you to boast about your bravery in battle. The feasts took place in long halls with large benches attended by servants. Drinking beer and mead was compulsory, so you would need to be able to hold your liquor. Your drinking horn would be filled to the brim and you would devour large helpings of roasted meat and blood pudding. The most respected warriors would get to sit at the high table with the Viking chief. A heroic death on the battlefield would win you a place in Valhalla – Viking heaven – where Viking warriors would get to fight all day and feast all night. How do you get to Viking Valhalla? 5. Which legendary Viking warrior would you be? 13th Century Norse sagas featured epic stories of the exploits and quests of legendary Viking warriors. Which Viking are you most like? Eric earned his bloodthirsty name. He slew his two brothers in a ruthless struggle to rule over Norway. Hastein faked his own funeral to gain access to the ancient Mediterranean city of Luna. Once inside the church he leaped from his coffin and sacked the town. Ragnar led pirate raids on the coasts of France and England. He was said to have been killed by King Ælla of Northumbria by being thrown into a pit of snakes. Erikson was an Icelandic explorer and probably the first European to voyage to North America, 500 years before Christopher Columbus. 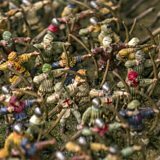 How did Henry V win the Battle of Agincourt?